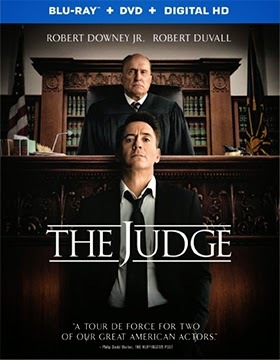 Hear ye, hear ye, court will be in session on Jan. 27 when Warner Bros. Home Entertainment subpoenas director David Dobkin’s The Judge for DVD and Blu-ray/DVD Combo Pack release. The ARR comes in at 109 days and domestic ticket sales are currently at $46.1 million. What a marvelous choice of cast members. How can you go wrong with six-time Oscar-nominated (three each, Supporting and Best, with a win for Tender Mercies in 1983) Robert Duvall being teamed with Robert Downey, Jr. (twice nominated) as father and son in a well-written courtroom drama. Teamed with this dynamite duo are Billy Bob Thornton (Best Actor for Sling Blade), Vera Farmiga (nominated Best Supporting Actress for her performance in Up in the Air) and Vincent D'Onofrio. That’s an absolutely “marvelous” assemblage of acting talent. The Palmer family, of which Downey is Hank, the attorney son of judge Joseph Palmer (Duvall), are having more than their fair share of dark problems these days. Hank’s mother/Joseph’s wife has just died and the estranged father and son are reunited for the funeral. And if this wasn’t dreary enough, Hank’s wife is divorcing him. It’s one of those family gatherings that you’d just as soon skip. His brothers Glen (D'Onofrio) and Dale (played by Jeremy Strong) are on hand, as is “Sam” (Farmiga), one of Hank’s old flames. This group of characters will flush out the story (red herrings and Greek chorus aspects), but are secondary to the conflict between father and son, which comes into focus when the aging judge is charged with murder (willful vehicle manslaughter) in the hit and run death of Mark Blackwell (Mark Kiely — Islander, Bruce Almighty, Rain, etc. ), a murderer who the judge had let skate on an earlier crime. Was it an accident? Or, was it justice being carried out by Judge Joseph Palmer as a redress for his previous judicial failure? Prosecutor Dwight Dickham (Thornton) is convinced it is the latter and throws the book at him … which brings Hank reluctantly to his father’s defense. 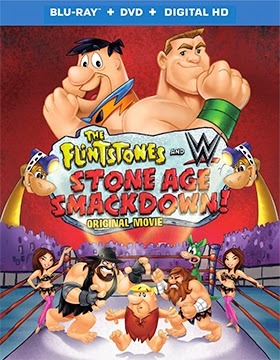 Also announced this week are DVD and Blu-ray editions of the newly prepared animated feature, The Flintstones and WWE: Stone Age Smackdown. Bonus goodies here include two production featurettes — “The Wrestlers of FFE” and “How To Be a Stone Age Wrestling Star” — plus two bonus cartoons, “The Engagement Ring” and “Take Me Out to the Ballgame,” both starring Fred Flintstone (voiced by Alan Reed). In 1986 director Rob Reiner adapted Stephen King’s novel, Stand by Me, for the screen … a tale of four boys on a coming-of-age journey. 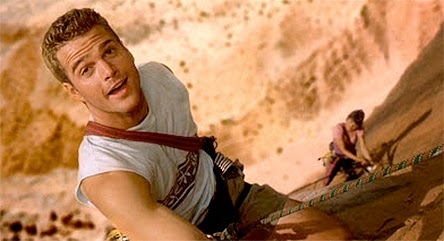 A dead body, bullies and other adventures kept us riveted to the action on the screen. Now comes another coming-of-age saga from director Charles Minsky … which is decidedly more dangerous than just taking a long hike down the railroad tracks. 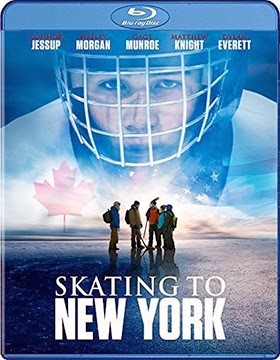 The film is titled Skating to New York (based on a short story by Edmond Stevens) and it will be heading to DVD and Blu-ray on Feb. 17 (after a limited theatrical run) courtesy of Well Go U.S.A.
Casey (Connor Jessup — The Saddle Club, Falling Skies) is the goalie for the local high school team, who — as the film opens — is distracted by events unfolding in the stands and misses the save on the winning goal. His four friends/teammates, Rudy (Wesley Morgan), Boney (Dylan Everett), Jimmy (Matthew Knight) and Rudy’s younger brother, Art (Gage Munroe), rally to his side. The game is tough and the loss hurts, but growing up in this small Canadian town is even tougher. As teenagers often do — and Casey and his buddies are no different — they hit upon an idea to put the memory of the game (and its aftermath) behind them. They will do the impossible, skate across Lake Ontario to New York on the other side in the dead of winter. Their challenge is to skate 22 miles across a frozen lake, that is always in motion, in near whiteout conditions and open to the elements during the entire trek. 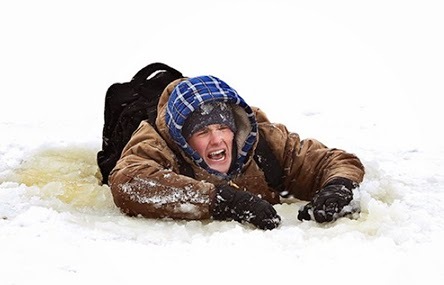 They can die from exposure and they must always be on guard during the crossing to avoid patches of thin ice, which can be instantly fatal! Skating to New York will leave you breathless! Mill Creek Entertainment will be putting plenty of smiles on consumers with a hankering to build their Bly-ray film libraries at attractive price points. On Feb. 17 the company will be serving up a total of six double-disc, four-film packages priced at just $19.98 each … and that’s before discounts at retail. Being promoted under the “4 in 1” release banner are two Action sets and one each for Drama, Family, Horror and Suspense. The first of the 4 in 1 Action Collection quads features Color of Night (1994, starring Bruce Willis, Rubén Blades, Jane Marsh and such familiar faces as Lesley Ann Warren, Scott Bakula, Brad Dourif and Lance Henriksen) Playing God (1997, Angelina Jolie is teamed with David Duchovny and Timothy Hutton), The Replacement Killers (1998, Chow Yun-Fat and Mira Sorvino) and Truth or Consequences, N.M. (1997, Kiefer Sutherland both directs and stars with Vincent Gallo). 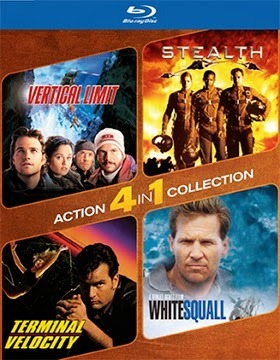 The second 4 in 1 Action Collection combines Vertical Limit (2000, Chris O’Donnell and Robin Tunney) with Stealth (2005, starring Jamie Foxx, Jessica Biel and Josh Lucas), Terminal Velocity (1994, teaming Charlie Sheen and Nastassja Kinski with the late James Gandolfini) and director Ridley Scott’s 1996 film release of White Squall (starring Jeff Bridges and John Savage). On the family front, the 4 in 1 Family Collection features Ernest Goes to Camp, Camp Nowhere (1994, Christopher Lloyd), Father Hood (1993, Halle Berry and Patrick Swayze) and the 1993 comedy, Life with Mikey, starring Michael J. Fox, Nathan Lane and Cyndi Lauper. The 4 in 1 Suspense Collection teams One Good Cop (1991, Michael Keaton stars with Rene Russo), director Sidney Lumet’s 1992 thriller, A Stranger Among Us (Melanie Griffith) and Consenting Adults (1992, toplines Kevin Kline, Kevin Spacey and Mary Elizabeth Mastrantonio) with the 1988 remake of D.O.A., which teamed Dennis Quaid with Meg Ryan. And lastly, the 4 in 1 Horror Collection brings Deep Rising (1998, Treat Williams, Famke Janssen and Kevin J. O'Connor) The Puppet Masters (1994 film adaptation of Robert A. Heinlein’s sci-fi novel … starring Donald Sutherland), When a Stranger Calls (2006, starring Camilla Belle) and director J. Lee Thompson’s 1981 horror party, Happy Birthday to Me (Melissa Sue Anderson) together for genre fans to enjoy. Paramount Home Media Distribution will be ready for action on Feb. 17 when the latest Nickelodeon animated series — a family-friendly series that is dedicated to science, technology, engineering and math — makes its DVD debut. 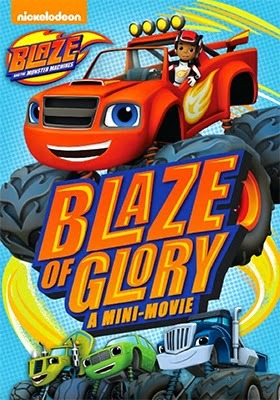 Titled Blaze and the Monster Machines: Blaze of Glory, we join Blaze, a monster-wheeled truck and his driver, AJ, on a series of adventures and challenges that turn on scientific disciplines in order to solve problems and complete their tasks. These often involve Crusher, a tractor-trailer that is not beneath taking short cuts and using brute strength to win races. Also from Paramount and Nickelodeon on Feb. 17 is the seven-episode DVD collection (nearly two-and-a-half hours of fun) titled Nickelodeon Favorites: Springtime Adventures. Included in the mix are spring-themed adventures featuring Dora the Explorer, Bubble Guppies, Team Umizoomi, Blue’s Clues and more. Lastly, Feb. 17 also marks the street date for the DVD debut of Max & Ruby: Sweet Siblings. It was revealed this past week that Olive Films will release four films, plus Abby Mann’s 1978 Emmy-nominated mini-series, King: The Martin Luther King Story, on both Blu-ray and DVD this coming Jan. 27. 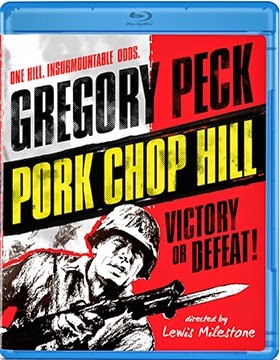 First, on the film front, we begin with director Lewis Milestone’s 1959 Korean War masterpiece, Pork Chop Hill, starring Gregory Peck along with Harry Guardino, George Peppard, Woody Strode, Robert Blake and Rip Torn. As with Milestone’s All Quiet on the Western Front and A Walk in the Sun, the action is very much from the POV of the ordinary soldier … often put into impossible situations and yet they find the courage and the will to overcome the events of the day that will all too soon be forgotten. Other films in the mix are director Frank Capra’s 1959 comedy, A Hole in the Head, starring Frank Sinatra, Edward G. Robinson, Eleanor Parker, Carolyn Jones and Thelma Ritter; the 1974 blaxploitation comedy Amazing Grace, starring Moms Mabley, Slappy White, Rosalind Cash and Moses Gunn, and actress turned writer/director Bonnie Hunt’s 2000 romantic comedy, Return to Me, teaming Minnie Driver with David Duchovny. 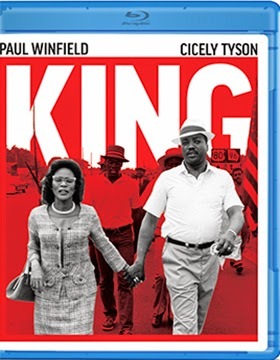 Timed for delivery for the Black History Month is Abby Mann’s mini-series, King: The Martin Luther King Story, starring Paul Winfield as the Reverend Martin Luther King Jr., with Cicely Tyson as Coretta Scott King (both were nominated for Emmys). 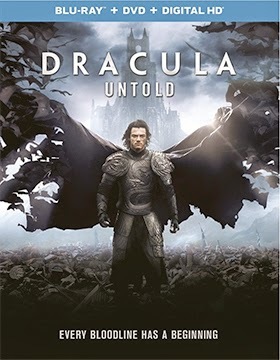 Universal Studios Home Entertainment has targeted Feb. 3 as the release date for a Blu-ray/DVD Combo Pack edition (with UltraViolet) of director Gary Shore’s Dracula Untold. A stand-alone DVD SKU will also be available on this first street-date Tuesday of February. The ARR for Dracula Untold is 116 days and domestic ticket sales were a tasty $55.9 million. The origins of Dracula (aka: Vlad the Impaler) are revisited (very much in the spirit of Coppola’s 1992 Dracula) in this clever saga about the Ottoman Empire’s invasion of Christian Romania with only Vlad (Luke Evans — The Hobbit: The Battle of the Five Armies, Fast & Furious 6, Clash of the Titans, etc.) standing in their way. When the invaders make the assault on his land personal, he, as legend has it, found a dark and brutal power to resist. Bonus features here include commentary from filmmaker Gary Shore (making his debut here), who is joined by Production Designer François Audouy (The Wolverine, Abraham Lincoln: Vampire Hunter), five featurettes, including one titled “Luke Evans: Creating a Legend” and an alternate opening and deleted scenes (both include optional commentary by Shore). 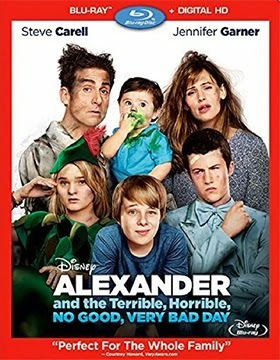 News arrived from Walt Disney Studios Home Entertainment this past week that director Miguel Arteta’s film adaptation of Judith Viorst’s illustrated children’s book, Alexander and the Terrible, Horrible, No Good, Very Bad Day, will be heading to the home entertainment arena as DVD and Blu-ray SKUs on Feb. 10. The ARR for this early 2015 release date works out to 123 days. Domestic ticket sales for this Steve Carell and Jennifer Garner family comedy vehicle came to $64.1 million. The Relativity Media film production of novelist Nicholas Sparks' The Best of Me — adapted for the screen by director Michael Hoffman (Restoration, Promised Land, The Last Station, etc.) — has been assigned a Feb. 3 street date for the release of both DVD and Blu-ray editions by 20th Century-Fox Home Entertainment. As has become the modus operandi for the studio’s home entertainment division of late there will be little effort made in promoting this latest Nicholas Sparks novel-to-screen release. Of course, there is also no word at this time on any bonus materials that might be included in either the DVD or Blu-ray SKUs. For the record the ARR is 109 days and ticket sales at the local multiplex were light at just $26.4 million.